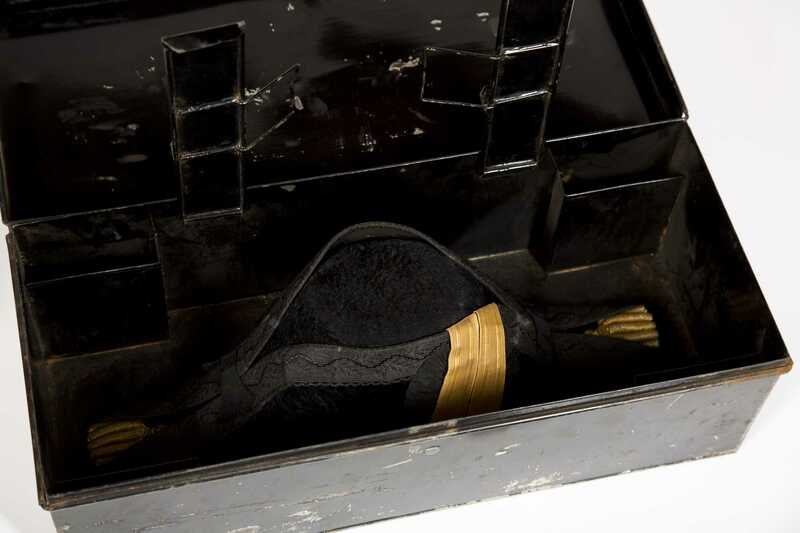 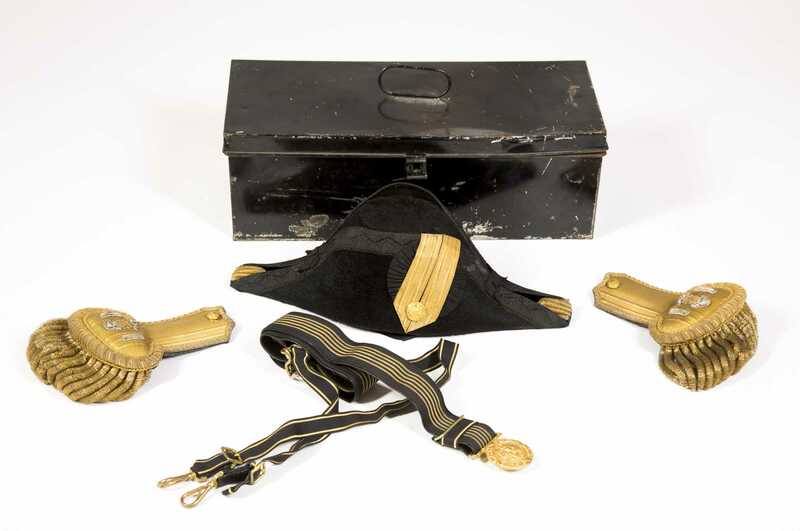 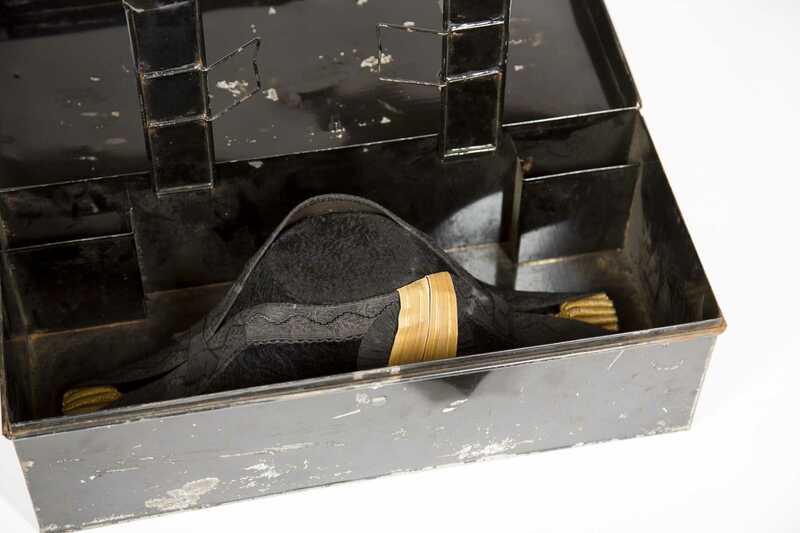 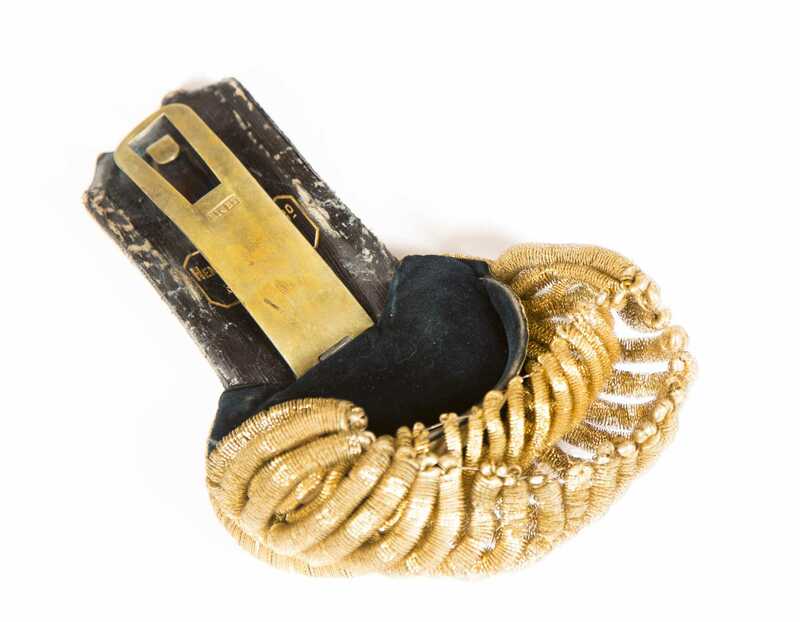 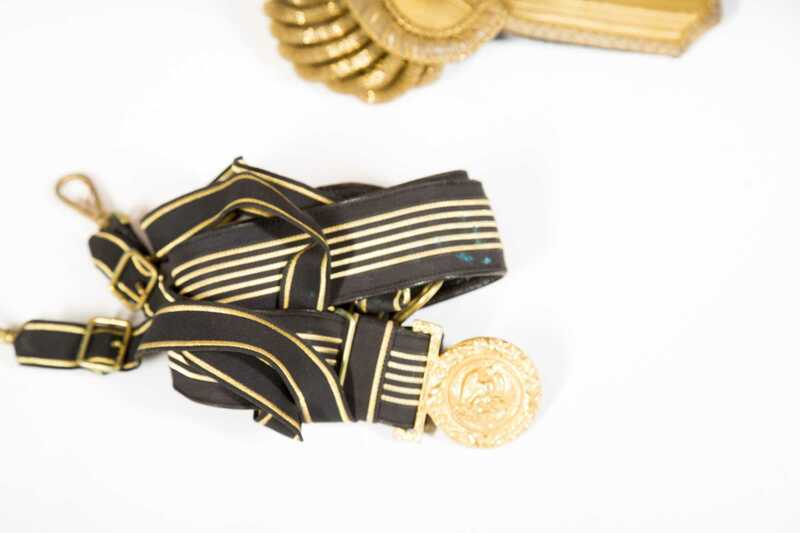 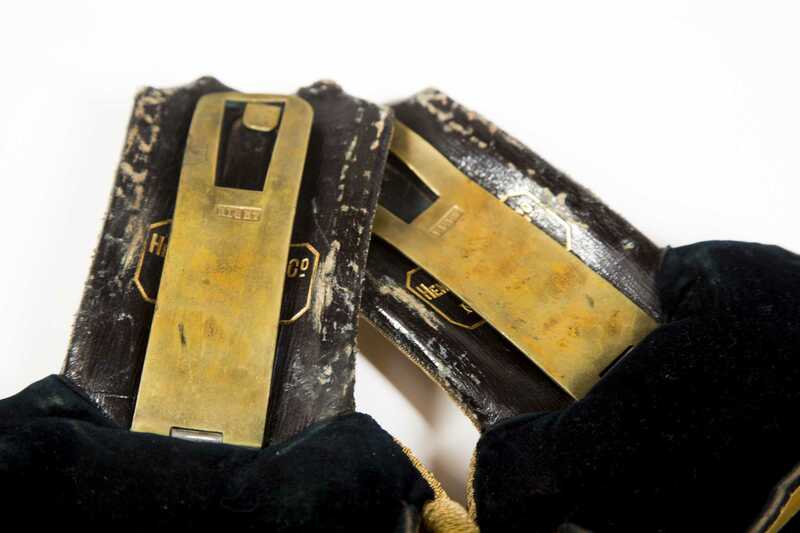 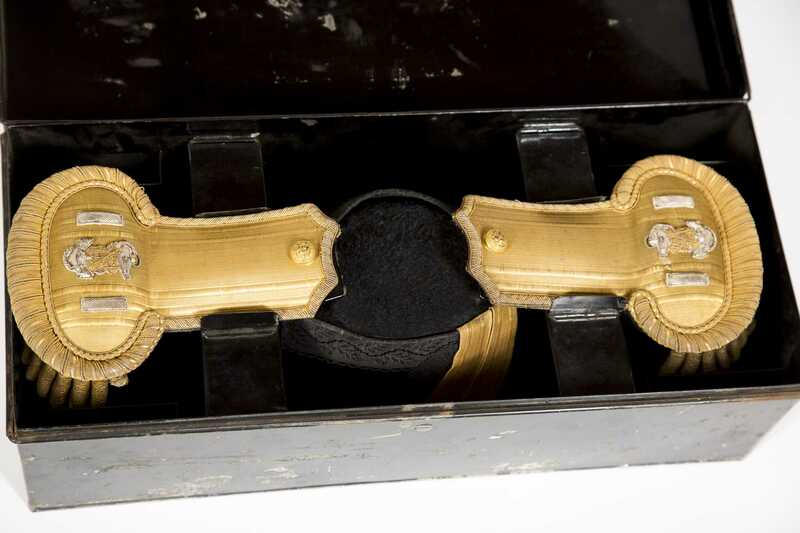 U.S. Navy Officer's Box Containing Bicorn (Fore & Aft) Hat And Gold Bullion Epaulets. 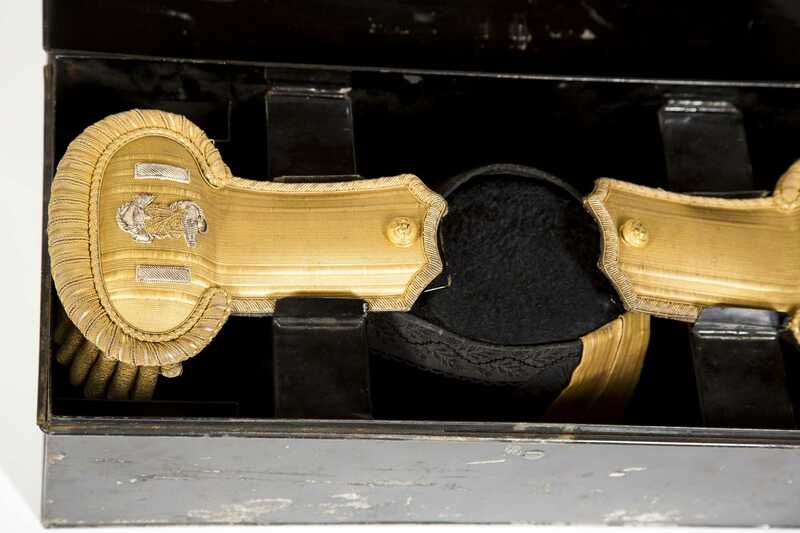 Epaulets mounted with anchors and lieutenant's bars and marked "Henry V. Allien & Co./New York". 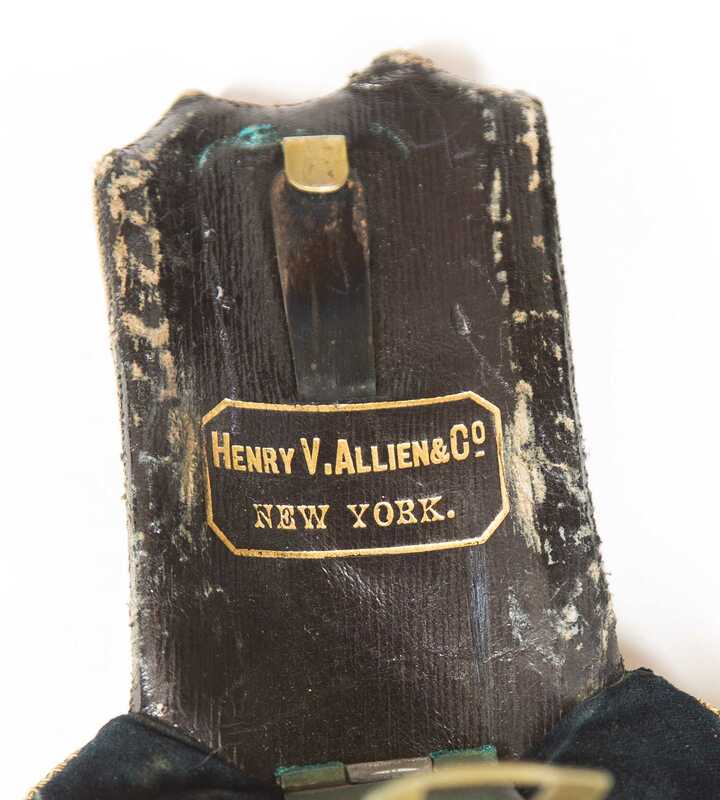 Allien was a supplier of swords and military accoutrements between 1877 and 1948. 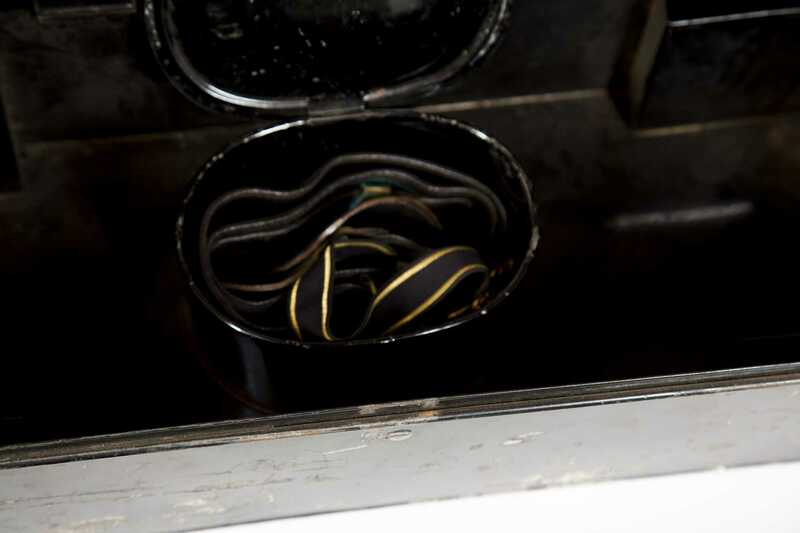 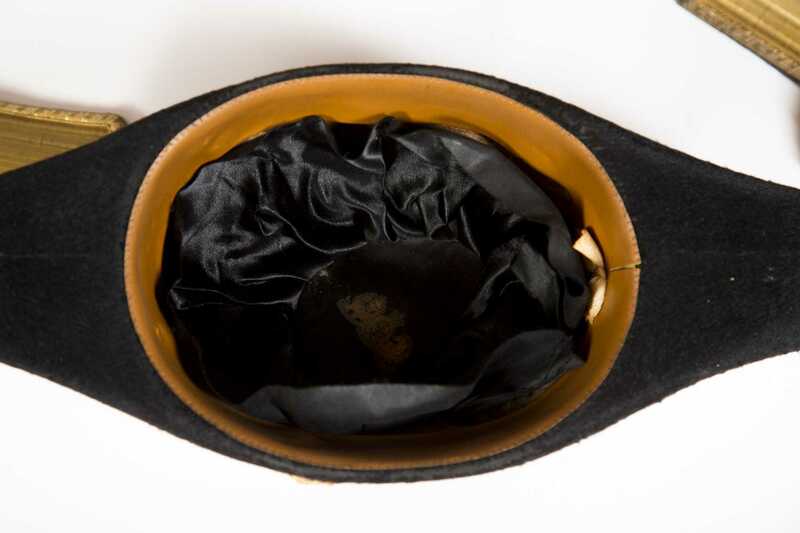 Hat is black fur-like cloth with gold stripe and tassels. 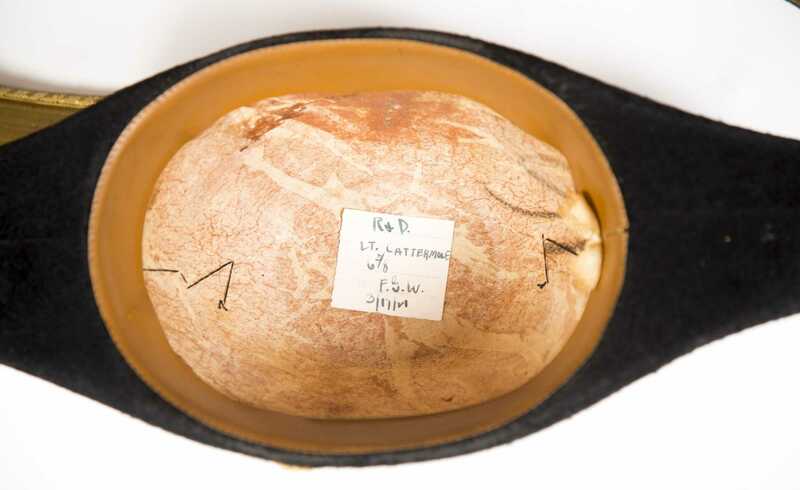 Inside of hat is marked: "Lt. Cattermole" and dated 3/17/21. 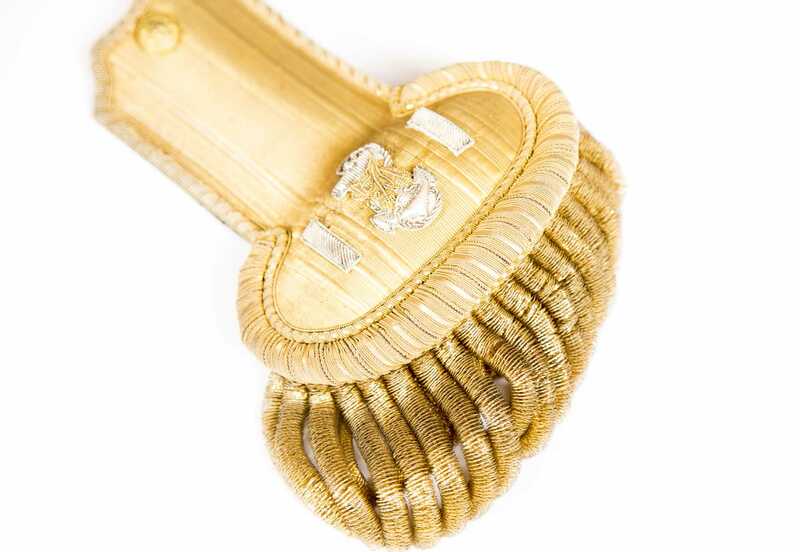 Silk hat lining has British Lion & Unicorn Arms indicating English manufacture. 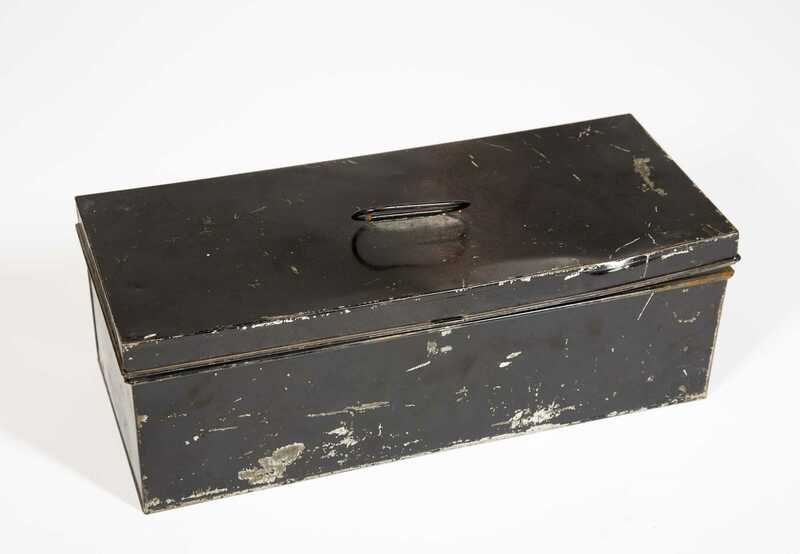 Black Japanned fitted metal box measures 18"x 8"x7.5". 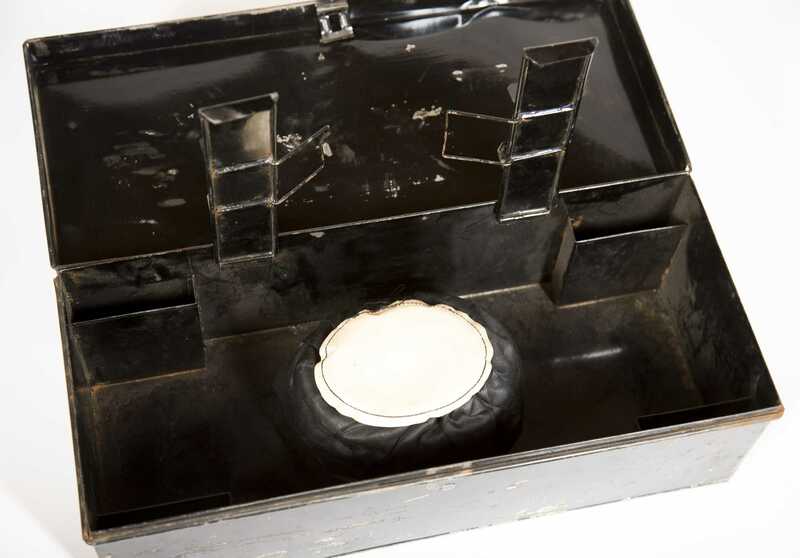 Ca: 1921.